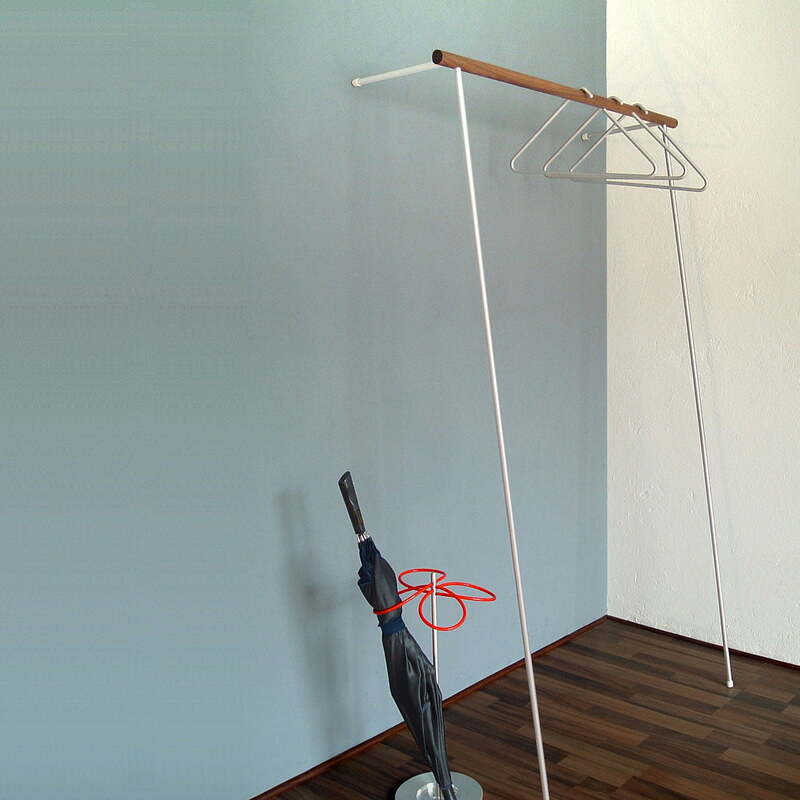 The Leanon Coat Rack by iRoomsafari is a clothes rack for those who enjoy practical and minimalist design. Leanon is, as the name already suggests, a leaning coat rack. What makes it special is Leanon doesn’t have to be drilled, pegged or screwed to be attached, but rather the hall stand simply has to be leaned on the desired wall. Leanon can carry up to 20 kg of clothing without any problems. The more clothes are hung on it, the more stable the clothes rack becomes, as it is pushed more firmly against the wall. This principle makes Leanon extremely flexible and it can be moved in no time if desired or if necessary. Its simple transport is furthermore made possible through Leanon’s light weight. This is also a consequence of the coat rack's minimalist design, which foregoes every unnecessary detail and focuses on pure functionality. As a consequence of the design, Leanon impresses with simple elegance. 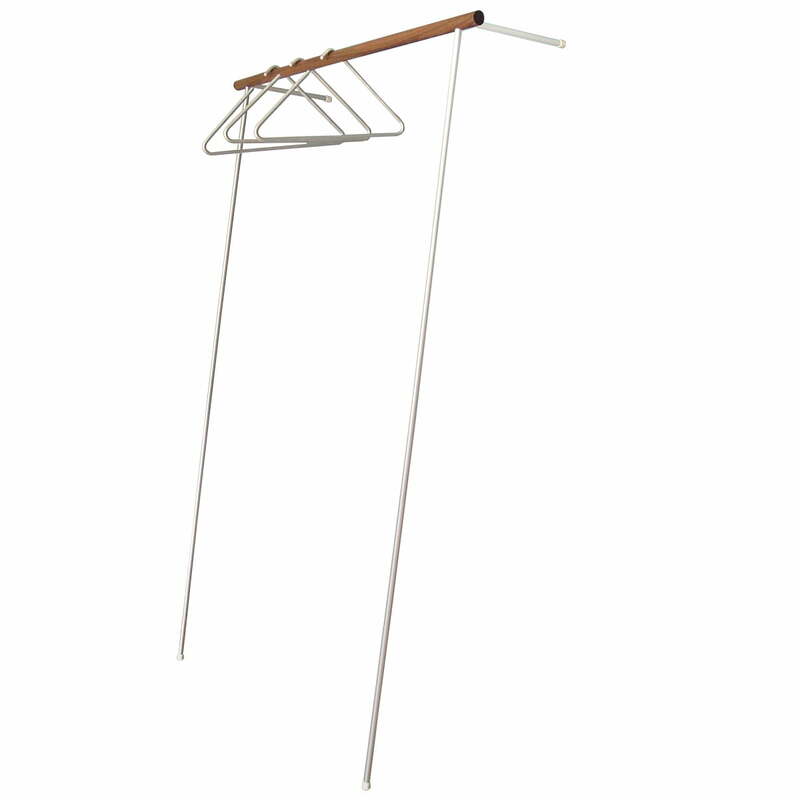 The clothes stand consists of little more than an aluminum rack supporting a wooden pole on which clothes or hangers can be hung. However, Leanon is not entirely without some details and so two magnets are located at the end of the pole on which, for example, house keys can be placed so that they are easy to find. The Leanon Coat Rack by Roomsafari is available in different versions.